Dr.Asea is the Chairman, Department of Microbiology, Biochemistry & Immunology at Morehouse School of Medicine.Dr.Asea is also holding the positions as Professor of Microbiology, Biochemistry & Immunology and Professor of Pathology & Anatomy. 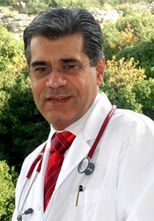 Dr.Asea was trained as a post doctorial fellow for Pulmonary and Critical Care Medicine in University of Miami School of Medicine from 1995-1996. Dr. Alexander A.Asea perused his PhD in 1995 from University of Goteborg in Microbiology and Immunology. Dr. Peter Gehlbach currently serves as the director of the Wilmer Echography Center and is the founding director of the former Wilmer Gene Therapy Vector Center. Dr. Gehlbach holds a Governor's Appointment in the State of Maryland as a member of the Board of Trustees of Blind Industries and Services of Maryland. Dr. Peter Gehlbach received M.D. degree from the University of Vermont and Ph.D. in cell and integrative physiology from the University of Minnesota. Dr. Gehlbach completed an internship and residency in general surgery at the University of Health Sciences, Chicago Medical School and his ophthalmology residency at Washington University, where Dr. Gehlbach also completed a fellowship in protein chemistry. Dr. Gehlbach completed a retina fellowship at the Casey Eye Institute in Portland, Oregon. Dr. Peter Gehlbach work has been supported by multiple NIH grants as well as prestigious foundations. Dr. Gehlbach’s research has been published in numerous peer-reviewed journals and has been presented at ophthalmology conferences around the world. Dr. Gehlbach holds a number of patents in both the U.S. and abroad. Dr. Din Chen is a Professor of Biostatistics at the School of Nursing and Professor of Biostatistics in the Department of Biostatistics and Computational Biology at the School of Medicine and Dentistry, University of Rochester. Dr. Chen is an adjunct professor for several universities and served as editor/peer reviewer for several statistics journals as well as a professional member for several professional societies and associations including the Chair for Statistics Section of the American Public Health Association. Dr. Chen received his Ph.D. in Statistics from the University of Guelph (Canada) in 1995, M.Sc. in Statistics from Hunan University (China) in 1987. Dr. Chen's research is primarily on developing biostatistical methods and their applications to clinical trials, public health and nursing research. 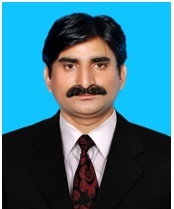 Dr. Muhammad Akram, Metric (premedical) Government High School Chak Mubarak, is a graduate of Hamdard Al-Majeed College of Eastern Medicine, Hamdard University, Karachi-Pakistan, Ph.D (Eastern Medicine) Hamdard Al-Majeed College of Eastern Medicine, Hamdard University Karachi-Pakistan. He has gained his major experience in the Department of Eastern Medicine different cities across 11 years. He started as a Lecturer in Faculty of Eastern Medicine, Hamdard University Karachi. Chairman, Department of Eastern Medicine and Surgery, University of Poonch, Rawalakot Azad Kashmir 2015-2017. Associate Editor, Pakistan Journal of Medical and Biological Sciences, Government College, University Faisalabad 2017 till date. Certificate of Appreciation presented in recognition of effort as Associate Editor in Publication of Pakistan Journal of Medical and Biological Sciences (PJMBS) Published at Directorate of Medical Sciences, Government College University Faisalabad-Pakistan. Poster presentation done in the Antihyperglycemic Activity of Some Medicinal Plants in Allaxon Induced Diabetic Mice presented in 7th Annual Research Day Poster Competition, 2016 organized by the Office of Research, Innovation & Commercialization (ORICE), Department of Research, Held on Saturday, February 27, 2016 at Dow University of Health Sciences, Karachi. Hyperuricemia, Xanthine oxidase inhibition by some selected medicinal plants, Enzyme Inhibition, Study of traditional system medicine (Indusyunic Medicine) Phytochemistry, and poisonous plants. Bioactivity and phytopharmaceutical evaluation of herb drugs and their natural products, Medicinal plants and Clinical trial, Biochemistry, Bioinformatics. Dr. Whiteman serves as Interim Program Director, Executive Masters in Health Services Administration, Florida Atlantic University. In previous position Dr. Whiteman served as Associate Dean, Health Sciences leading the MS Health Services Administration and Master of Public Health programs. Dr. Whiteman has taught graduate school for over 20 years. Dr. Whiteman’s educational credentials include a Ph.D. in Health Services, an MBA in Management and Marketing and a BA in Health Facilities Management. Dr. Whiteman is a Life Fellow in the American College of Medical Practice Executives (FACMPE) and served as Team Leader on the College’s Professional Papers Committee. Dr. Whiteman's professional affiliations include membership in the Medical Group Management Association (MGMA) and service as Past President of the Florida Chapter of MGMA. Dr. Whiteman was founder and Past Chairman of the Radiology Assembly within MGMA. Dr. Whiteman academic interests lie in leadership issues related to medical group practice management. In combination with Dr. Whiteman's academic experience, Dr. Whiteman has over forty years of expertise in the healthcare industry, thirty-three of these years in group practice management and consulting, and seven years with third party payors. Dr. Whiteman's professional background encompasses the following experience: practice management in both single-specialty and multi-specialty group practices; faculty practice plans; hospitals; consulting with well over 100 clients; assisting over 25 new practice start-ups; managed care; MSO development; practice valuation; practice acquisition and merger; litigation support; computer system purchase and installation; and significant efforts with diagnostic imaging practices. Dr Alexander Quarshie MD, MS is Currently directing Biomedical Informatics Program and Co-Directing CRECD Program, Clinical Research Center in Morehouse School of Medicine, Atlanta. Dr Quarshie is also actively working as associate professor for Community Health & Preventive Medicine. In past Dr. Quarshie acted as Health Services Management Chair, MBA in Keiser University, Graduate School, Fort Lauderdale. Dr Alexander Quarshie pursued Master of Science from University of London School of Hygiene and Tropical Medicine Dr. Quarshie holds a membership in World Health Organization. Dr Quarshie's awards include CDC-AMIA Public Health Informatics Award, Faculty Teaching Award, MSCR Program, Morehouse School of Medicine, Outstanding Mentor Award, MSCR Program, Morehouse School of Medicine. Ali Cyrus Banan, PhD. is curently working as a scientific authority on inflammatory disorders, in particular inflammatory bowel disease & Liver Disease, and free radical injury & its prevention. After education at University of Tennessee, Banan trained in gastrointestinal patho-physiology & mucosal biology (St Louis University). At age 33, Dr. Banan became the founding Research Director of the Division of Digestive Diseases at Rush University Medical Center (Chicago, IL). Also, as Global Director of R&D at Baxter Nutrition Division, he led the Company’s therapeutics R&D division from a virtual start-up stage of discovery to its growing position as a leader in discovery & development of novel therapeutics, drugs and lipid (anti-inflammatory) technologies. As Senior Director R & D, Global Head of Discovery and Translation at Abbott Laboratories, Bananled the company's Global Division discovery & translational medicine efforts in several crucial areas of unmet clinical needs (i.e., Disease States Discovery & Translational Medicine; R&D).In this capacity, he was again directly involved in R & D, including through effective collaboration with internal & external networks (academia; NIH Centers of Excellence). Banan also led global R&D efforts in other key disease areas including cancer, cardiovascular, gastrointestinal, neuroscience, & inflammation. Anurag Tewari MD is currently an Associate Professor in Anesthesiology at Dayanand Medical College & Hospital. Tewari served as Clinical Research Associate Anesthesiology in University of Iowa Hospitals & Clinics, Iowa City. Anurag Tewari obtained his training in Anesthesiology from Dayanand Medical College & Hospital in 2002.Tewari completed his fellowship training in Neurosurgical Anesthesiology & Spine Surgery from Cleveland Clinics Foundation, Ohio in July 2014 and is now perusing his second fellowship in Pediatric Neuroanesthesiology & Intraoperative Neurophysiological Monitoring from Cincinnati Children Hospital & Medical Center, Ohio. Tewari is a member of American Society of Anesthesiology,American Society of Neurophysiological Monitoring, Society of Neuroscience in Anesthesiology & Critical Care and World Association of Medical Editors and a Life Member in Indian Society of Anesthesia and Research Society of Anesthesiology Clinical Pharmacology. Dr. Zeng has been working as a medical doctor and researcher in the invasive and non-invasive Cardiology in the China-Japan Union Hospital of China for over 20 years. In 2002, Dr. Zeng was awarded the World Health Organization (WHO) fellowship and learned the clinical cardiac electrophysiology, radiofrequency ablation, pacemaker and ICD implantation and programming in the Medical University of South Carolina, Charleston, USA under the direction of the world-class electrophysiologist Dr. Michael R. Gold. In 2009, Dr. Zeng acquired Doctoral degree of Medicine (PhD) from the Regenerative Medicine Institute, school of Pharmaceutical Sciences of Jilin University, China. Dr. Jeremy Toyn started his career in yeast genetics, including graduate studies of the protein secretory pathway, at EMBL Heidelberg and UCLA, Los Angeles, and postdoctoral studies of the cell division cycle in yeast at the National Institute for Medical Research, Mill Hill, London. In 1997, Toyn moved to DuPont Merck, subsequently DuPont Pharmaceuticals then Bristol-Myers Squibb, in Delaware, joining a biotechnology group in which Toyn's laboratory used yeast technologies to support drug discovery programs. After leaving yeast, in 2003 Dr. Toyn joined the Neuroscience department at Bristol-Myers Squibb, where he developed a role as biology team leader in Alzheimer’s disease drug discovery. This included the leadership of a project that started with a high throughput screen and progressed to clinical nomination of a gamma-secretase modulator and first-in-human studies. In addition, Toyn has drug discovery experience in Parkinson’s disease and muscle wasting. Dr. Toyn is a member of the New York Academy of Sciences, the Society for Neuroscience and the American Society for Biochemistry and Molecular Biology. Toyn has over forty scientific publications in the fields of yeast genetics and Alzheimer’s disease. Dr. Gonzalez is acting as chair for Emergency Medicine Department in University of Puerto Rico School of Medicine,Besides that Dr.Gonzalez also holds the position of Professor,Emergency Medicine Department in University of Puerto Rico School of Medicine since July 1991.In past Dr. Gonzalez also acted as the Program Director at University of Puerto Rico for Emergency Medicine Program from January 1991-February 2011. Dr. Juan Gonzalez perused his Doctor of Medicine from University of Puerto Rico School of Medicine from 1982 to 1986 under Emergency Medicine Residency Program. Dr. Woodson holds faculty appointments as Clinical Assistant Professor, Department of Preventive Medicine and Community Health at the University of Texas Medical Branch (UTMB) in Galveston, TX and as Associate Professor in the Department of Military and Emergency Medicine at the Uniformed Services University of the Health Sciences (USUHS) in Bethesda, MD. Dr. Woodson received a Bachelor of Science (B.S.) degree in biology from the University of Houston in 1992, where Dr. Woodson was Distinguished Military Graduate of the US Army ROTC program there. Dr. Woodson graduated from medical school with a Doctor of Medicine (M.D.) degree from the Uniformed Services University of the Health Sciences (USUHS) in 1997 and a Master in Public Health (M.P.H.) from the University of Texas Medical Branch in Galveston, TX in 2001. He later completed training in Aerospace Medicine at the Naval Aeromedical Institute at NAS Pensacola, FL. Dr. Woodson is currently studying Military Medical History as a fellow in the USUHS History Department. Dr. Laverene Estanol is currently acting as Director, Human Research Protection Program in Veterans Medical Research Foundation/VA SanDiego, Administrator (Principal Administrative Analyst/Supervisor) from November 2008 to September 2010). Prior to that he worked as Institutional Review Board (IRB Professional Psychology, SanDiego). Dr. Laverne Estanol perused Masters of surgery from California School of Healthcare System since September 2010. Dr. Leslie Marc Garson is currently working as Associate Clinical Professor for Department of Anesthesiology and Preoperative Care and Doctor in UC Irvine Medical Center. Prior to that he acted as Medical Director, Christus St Vincents Surgical Services. Dr. Leslie Marc Garson, M.D perused his medical degree from University of Kansas School of Medicine in 1982.Dr. Leslie Marc Garson is Board Certified in Anesthesiology. 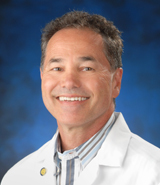 Dr. Garson hospital appointments include Team Leader for Orthopedic Outpatient and Inpatient at UC Irvine. Dr. Leslie Marc Garson is also Member of the medical staff Credential Committee. Dr. Mario Ammirati is currently working as professor, Neurological Surgery and has a hospital appointment as Physician, FGP-Neurological Surgery in Ohio State University. Dr. Mario Ammirati is also actively participating in Physicians’ Services Incorporated Foundation in North York. In past he acted directed for Skull Base Surgery and Stereotactic Radio surgery and Dardinger Micro Neurosurgergical Skull Base Laboratory at The Ohio State University Wexner Medical Center. Dr. Mario Ammirati, MD, MBA pursued Degree in Medicine from University of Naples Medical School in 1977 and masters of business administration from Temple University in 2005. Dr. Nagi Souaiby is an emergency medicine specialist graduated from the renewed Faculty of Medicine of Montpellier – France. Dr. Souaiby is also a forensic medicine and disaster medicine specialist from the universities of Paris and certified from the "Medical Council of Canada". Moreover, Dr. Souaiby had obtained a Master degree in “Hospital and Health Management” from ESA of Beirut – Paris VII. Dr. Souaiby is an advisor to the European Union, a lead training expert to the WHO and a Consultant to many UN agencies and institutions. Dr Souaiby is the founder and president of the Lebanese Resuscitation Council, a former president of the Lebanese Society for Emergency Medicine and member of many international scientific societies. At the academic level, Dr. Souaiby is the author of numerous articles and has tutored many university thesis and studies in his various fields of specialization. Dr. Souaiby transfers know-how and experience to young students of medicine and nursing at the Lebanese University, Holy Spirit University of Kaslik and Saint Joseph University. Dr. Souaiby is the Chief Editor of Med Emergency, The Mediterranean Journal of Emergency Medicine and the Director of the National School for Emergency Care. Dr. Ramses F. Sadek is currently working as Professor of Biostatistics in department of Biostatistics and Epidemiology and also holding the position of head of Cancer Clinical Trials Biostatistics unit in Georgia Regents University. Prior to that Dr. Sadek acted as Global Senior Director for Biostatistics and Data Management in BioMerieux Inc. Dr. Sadek pursued PhD in Statistics & Educational Psychology in the year 1992. Dr. Robert Shepard is currently in full-time consulting in Oncology and Hematology Clinical Trials and Drug Development, CMO of AnnaMed and Callisto Pharmaceuticals, and an External Reviewer on the Millennium Clinical Research Board. Dr. Robert Shepard's background also includes experience as a Medical Officer in CBER. Dr. Shepard recently ran a phase II trial with a biologic for carcinoids, an immune therapy with genetic engineering for melanomas, a phase I/II with a new generation anthracycline for acute leukemias,a global phase III registration trial in GIST as well as many others before that over 25 years as a lead investigator and PI. Dr. Shepard have designed, written, and implemented numerous clinical trials including ones for most of the hematological and solid malignancies. Dr. Shepard’s specialties include Designing, writing, Implementing, and accelerating clinical trials in oncology, hematology, and immunology and presenting to the FDA in pre-IND, pre-NDA, and end-of-phase 2 meetings. Dr. Lewey holds the academic title of clinical professor of medicine at Rocky Vista University and has participated in clinical research and medical education. Dr. Lewey has published several book chapters, scientific articles and abstracts as well written numerous online articles for patient education. Dr. Lewey's clinical interests include Celiac disease and gluten sensitivity, food allergies and intolerance, eosinophilic disorders of the digestive tract, inflammatory bowel disease, role of microbes in digestive disease and health, and endoscopy. Dr. Lewey is a board certified gastroenterologist in clinical practice for over twenty five years. Dr. Sassan Sabouri, an instructor at Harvard Medical School, is a graduate from medical school in Shahid Beheshti Medical University (SBMU) in Tehran, Iran. First, he finished his anesthesiology residency in SBMU. He has gained his major experience by practicing anesthesia in different cities across Iran for 10 years. In 2006, he started his residency in General Surgery in Temple University in Johnstown PA and then Anesthesiology Residency in New York State University at Buffalo NY, where he became one of the chief residents. After graduation from residency he became one of the staff at the Department of Anesthesia, Critical Care and Pain Medicine at Massachusetts General Hospital (MGH), MA. His clinical innovations are primarily focused on regional anesthesia. Collaboratively, he started General Surgery Regional Service in MGH in May 2012. He has had multiple abstracts and presentations in the USA as well as internationally in Iran and India.